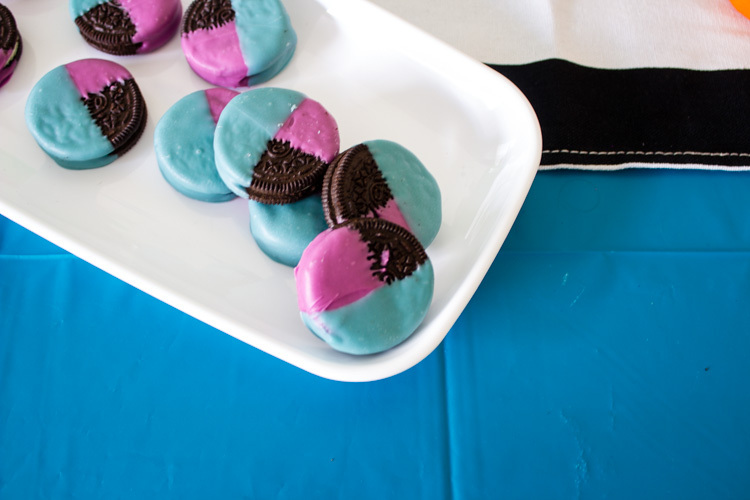 Add some fun color to your snacks with these simple color blocked oreos! 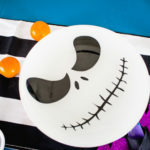 Make them in your team colors, party theme and more! How do you eat your oreos? Are you the kind of person that splits them apart, licks them and sticks them back together? Do you dunk them in milk until they’re nice and soggy (guilty)? Do you split them apart and take out the cream (also guilty)? No matter how you eat them, I have yet to find someone that doesn’t like oreos. There are a ton of ways to eat these delicious sandwich cookie and even more ways to decorate them! 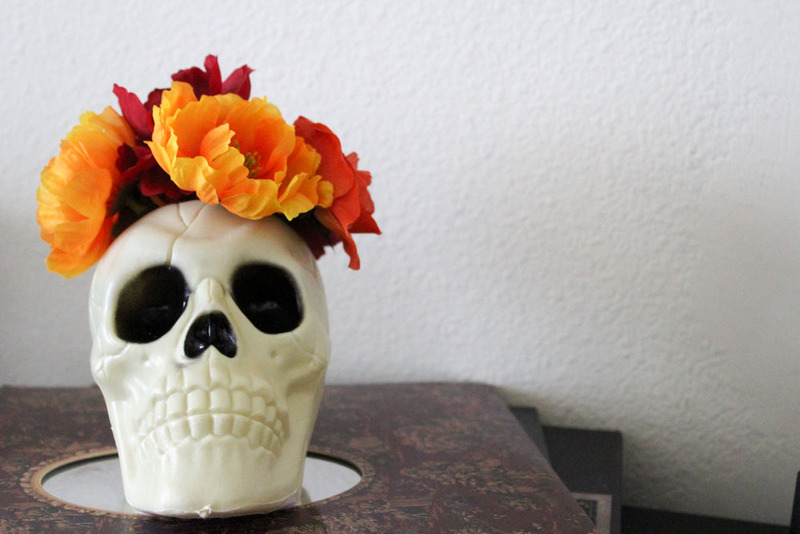 With this DIY, the goal was to use accent colors for my Halloween Party. They really only took about 30 minutes and have a huge impact when trying to set an impressive table. 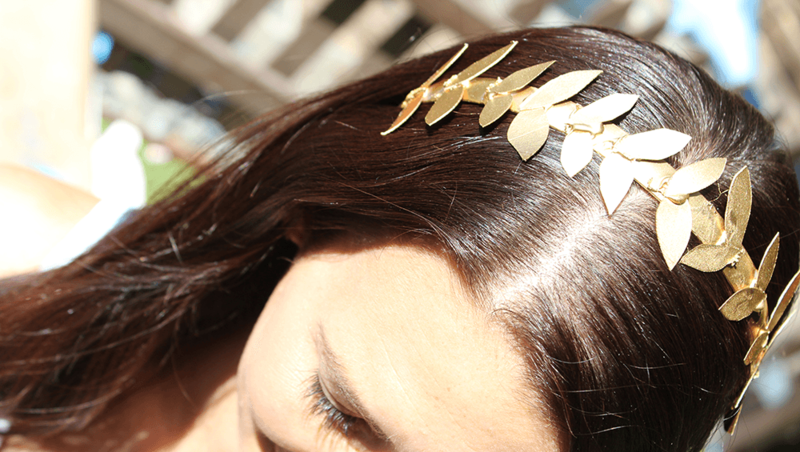 Other ways you could use this technique would be using team colors (I’m looking at you football fanatics) or school colors for a graduation party! 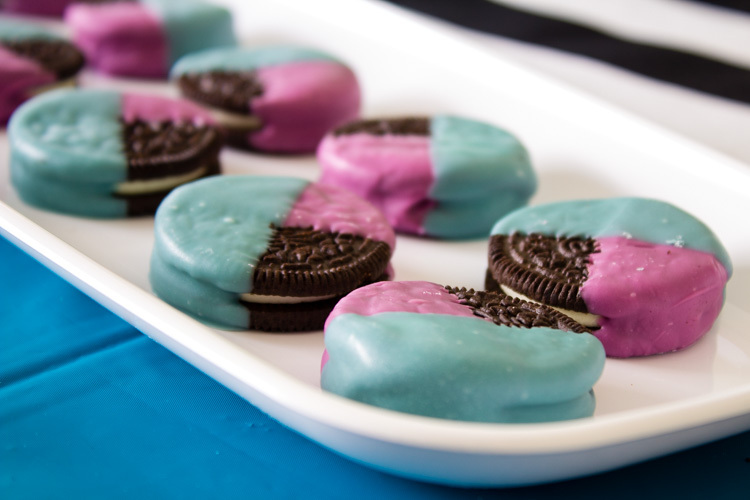 The color possibilities are endless with melting chocolate and great food coloring! 1 package of Oreos – I went with double stuff, but you can use any kind! 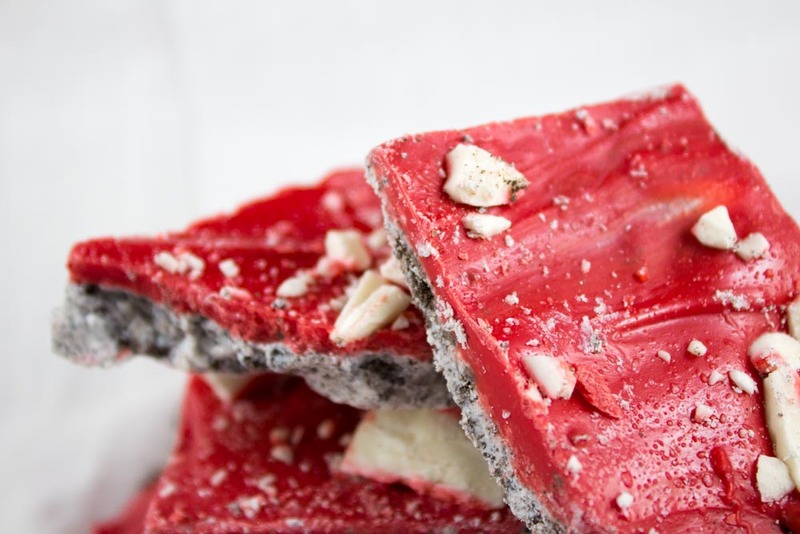 18-24 oz White Chocolate almond bark – separated – usually at this time of year you can find it in large blocks at your local grocery store. 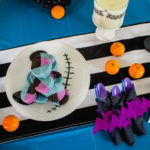 Food coloring in chosen colors – I am OBSESSED with the Wilton ColorRight system! 1. To begin, set up your baking sheet with the parchment paper and make room in your fridge. The cooling down process is essential. 2. Start with one color chocolate and melt in 30 second bursts, stirring in between each one. Wait until you’ve melted all of your chocolate before adding coloring! Add about 1 tsp coconut oil to thin out the chocolate. This also helps to solidify the chocolate more quickly. 3. 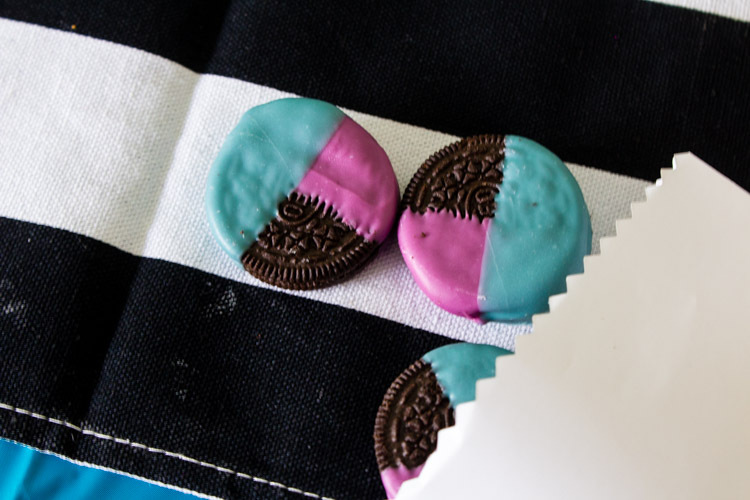 Dip oreos about half way, tap off the excess chocolate and gently place on the parchment paper. 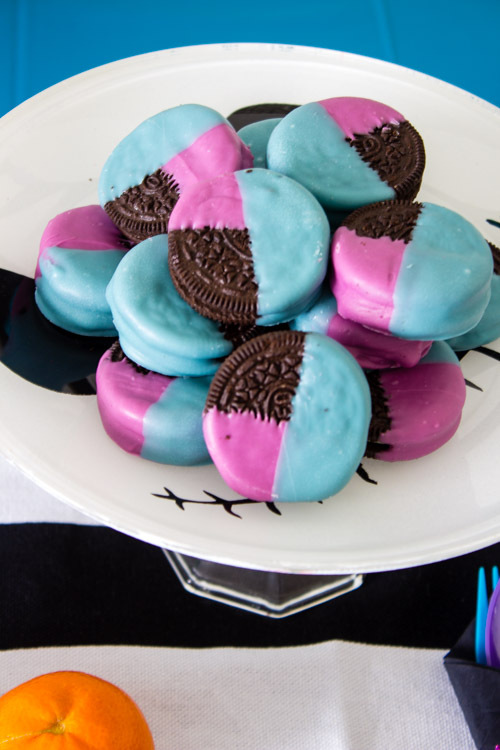 Do this for as many color blocked oreos as you need then place in the refrigerator for 10-15 minutes or until chocolate is solid. 4. 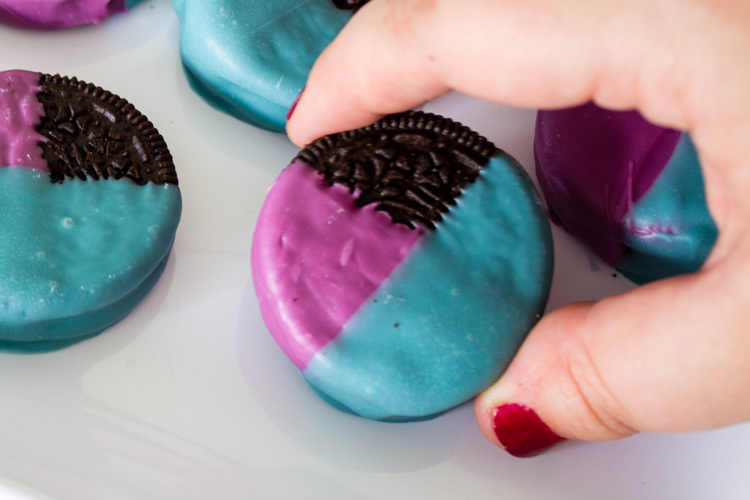 While you’re waiting for the oreos to come out, clean up and prepare your next color using the same method. 5. Once your cookies are ready to be removed from the refrigerator, rotate them 90˚ so that the first color takes a vertical position. 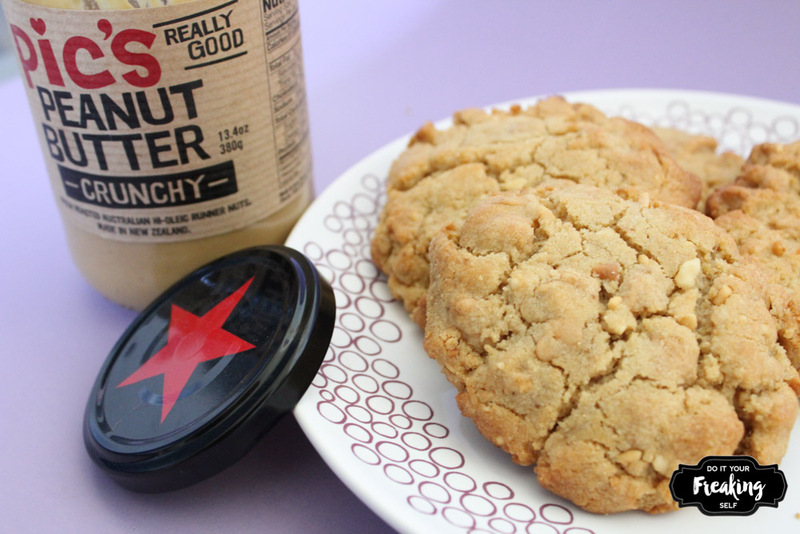 Dip the cookies half way again and place on the parchment paper – same side down as before. Place back in the fridge for another 20 minutes. And… thats it! You’re done! 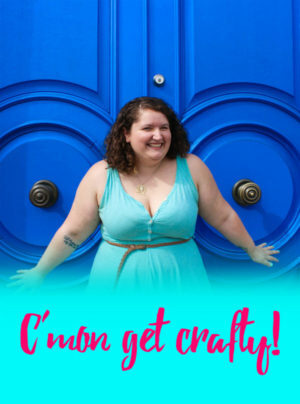 Go color block your way into party mode!! !